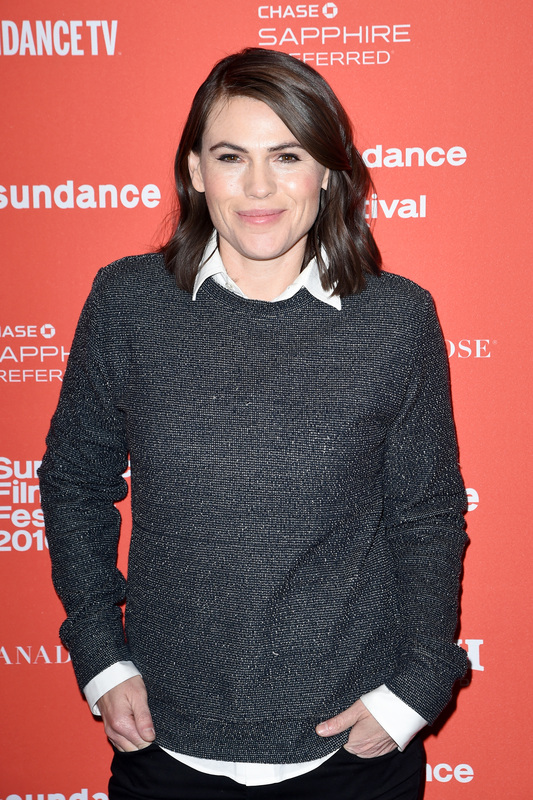 If you were a woman coming of age in the late '90s, chances are high that Clea DuVall had an influence. The actor may not have been a massive name, but she played a role in some of the decade's most feminist works, from Girl, Interrupted to Buffy the Vampire Slayer. It was her role in the 1999 film But I'm A Cheerleader , though, that had the most impact of all. That film, in which DuVall played a lesbian teen romancing Natasha Lyonne's Megan at a gay conversion camp, made both of its stars LGBTQ icons — and while that may have helped skyrocket their careers, fame didn't come without its challenges for the then-closeted DuVall, the actor says now. "People really want to know what’s going on with you personally when you make those movies, and I think that scared me a little bit," DuVall, who wrote, directed, and starred in the new movie The Intervention, tells Bustle. "There were a lot of roles that I didn’t pick for a while, because I was scared." Although the actor played numerous LGBTQ characters post-Cheerleader (including an acclaimed role on American Horror Story: Asylum) and spoke out about LGBTQ rights, it wasn't until a few years ago that she chose to publicly announce that she was a lesbian. Being a celebrity whose life was fodder for fans and paparazzi (tabloids were keen to capture photos of her kissing women) took a toll, says DuVall, and only recently has she felt more comfortable sharing the details of her life with the public. "I've worked through whatever issues I have with myself internally," she explains. "I think we’re all always a work in progress, hopefully, but I definitely had some stuff to sort through when I was younger." Today, she's relatively open about her romantic life, tweeting jokes about her girlfriend and discussing playing roles that are "the gay that I feel like I am" with The Advocate. Part of that's due to maturity, she says, but also to the increasing acceptance society has had for LGBTQ individuals. "I think the climate has really changed in that way, and it doesn’t really matter as much," DuVall says. "It’s not that big of a deal, which I think is really encouraging ... We’ve come so far, now kids don’t even care. They don’t even really notice, which is awesome." Recently, the actor has taken on a spate of LGBTQ roles, from Jessie, the straying girlfriend of Sarah (Lyonne) in The Intervention to Marjorie, the Secret Service agent and love interest for Catherine (Sarah Sutherland), the president's daughter, on Veep. DuVall, a massive fan of the HBO show, says she "loved" the experience of playing Marjorie (and doesn't rule out a Season 6 return), noting how well she thought the writers tackled her character's relationship. "The joke was not that they were gay — the joke is that I look like her mom," she says. "The way that they handled it was really sweet. Because then, when you get into the episode with the documentary and you see a little more of Catherine and Marjorie's relationship, it’s treated with so much love and respect, and I really admired the way they approached it." DuVall's role in The Intervention, too, is impressively nuanced, due to the fact that it was created by the star herself. The film, in theaters Aug. 26, marks her directorial debut, and its story, a broad yet intimate dramedy about the complicated relationships between friends, is gentle, painting each character, no matter how flawed, in a sympathetic light. DuVall's Jessie is a difficult person — her unfaithfulness is rooted in deeper, more frustrating issues — but she's hard not to like, perhaps due to the chemistry the star shares with the cast. There's Lyonne, of course, and also the duo's longtime friend Melanie Lynskey, plus a group of talented comedians like Alia Shawkat and Jason Ritter, all of whom bonded closely during the duration of the movie's filming. "We were all eating every meal together, and people were living together in a really close-knit environment," DuVall explains. "I think that really contributed greatly to the connection that the cast has on-screen." And working with so many friends and frequent collaborators, she adds, made for a less nerve-wracking directorial debut. "Going into the experience with people who I knew were on my side and who loved me and wanted to see me succeed and would do anything they could to help me, that was such a huge advantage, and very comforting in situations that at times could feel very daunting," DuVall says. Still, she adds, "When you have personal relationships with people, at least for me, it added to my anxiety... of not wanting to let them down as my friends, and wanting it to be something that they felt happy to be a part of independent of me." With the movie a Sundance favorite and a critical hit, it's doubtful anyone involved in The Intervention would feel let down by their experience or by their director, a star who wields as much influence today as she did in the '90s — and is, happily, a lot less scared about it.